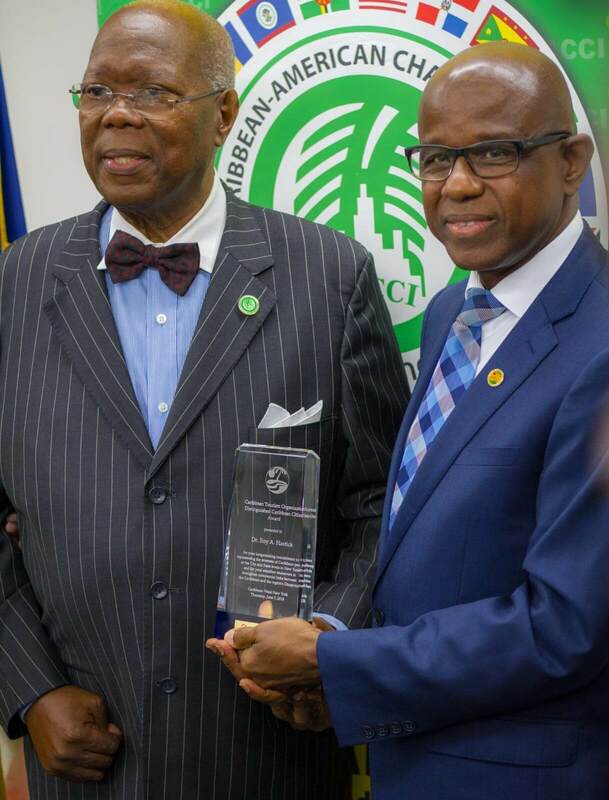 CTO presents Dr. Roy Hastick, Sr. President and Founder of The Caribbean American Chamber Of Commerce & Industry with its Distinguished Citizen Award – The Caribbean American Chamber of Commerce and Industry, Inc.
BRIDGETOWN, Barbados (August 2, 2018) – Hugh Riley, secretary general of the Caribbean Tourism Organziation (CTO) presented its “Distiguished Caribbean Citizen Award” to Dr. Roy A. Hastick, president and CEO of the Caribbean American Chamber of Commerce and Industry (CACCI), during a recent CACCI small business development power breakfast meeting. 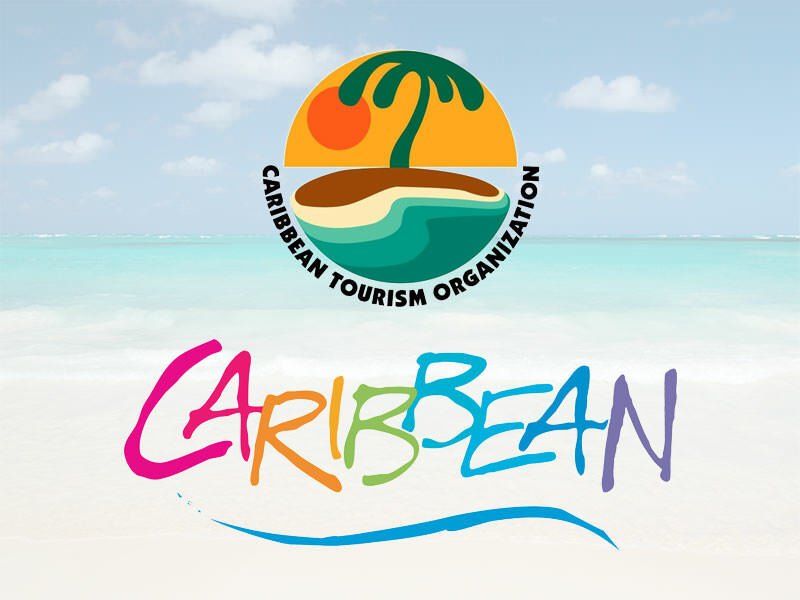 The honour is part of CTO’s Caribbean Tourism Industry Awards given annually during Caribbean Week New York festivities. Hastick was born in Grenada and migrated to the U.S. in 1972 and worked for several years as an administrator, community advocate, entrepreneur and newspaper publisher. Through his involvement with organizations in the Borough of Brooklyn, Hastick recognized the need for the Caribbean community to unify in support of one another in order to improve the quality of life for everyone. Because of his work in the small business community, Hastick was appointed Honorary Brooklyn Ambassador by Brooklyn Borough president Eric L. Adams. As president and CEO of CACCI, he has helped grow the statewide membership organization to over 1,700 and provides expertise in providing business assistance to small start-up and emerging businesses in areas of business planning, financing, procurement, preparation for certification and business expansion, tourism and export/import opportunities. CACCI’s extensive track record of service delivery includes sponsoring over 600 business networking meetings and establishing partnerships with US government and private business entities. Over the years, CACCI has sponsored numerous trade missions to the Caribbean, convened business meetings and held briefing sessions on behalf of several Caribbean Heads of State including Prime Ministers of Jamaica, Grenada, St. Vincent and the Grenadines, St Kitts and Nevis, St. Lucia, Barbados, Haiti, Dominica, Guyana, Trinidad and Tobago, Antigua and Barbuda, and the Chief Minister of Montserrat. In August 2017, the CTO and CACCI formalized a cooperation strategy between the two organizations to enhance the level of engagement with the Caribbean Diaspora and to strengthen relationships with entities serving the people of the Caribbean.